For many children and parents, studying an instrument is a part of their lifestyle. Whether they have chosen the instrument themselves or their parents have chosen it for them, it can be an incredible experience. Being a musician offers endless possibilities for the child just starting out or the child who is at an advanced level. It is educational and it is social. It can provide your child with skills that he or she can use every day. It can be a hobby or a career and it can open doors to new experiences and new friendships. You have probably heard the results of all the research on music education. Specifically, the research on how "training a child on a musical instrument can develop connections in the brain that are necessary for understanding complex math and science concepts." "Music can also improve reading ability, SAT scores, spatial reasoning skills, school attendance, teamwork, self esteem, self discipline, creativity and knowledge." Children that play their instrument in a group setting experience many of the same benefits as participating in a team sport. Music adds to the quality of life, whether you are playing it or just listening to it. Offering your child music lessons may mean that one day he or she will be a musician or have a successful career in medicine or law. You can be assured that offering a child the opportunity to study a musical instrument is beneficial and positive, any way you look at it. At the Mike Risko Music School, children are given a strong foundation on their instrument of choice. All students are taught the essential elements needed for the development of a well rounded musician through the use of carefully chosen method books and supplementary material. The entire guitar curriculum was written by Mike Risko and all students in the music school learn from it. Students are also encouraged to play many styles of music including classical, jazz and rock. Students of the Mike Risko Music School are not only educated musicians, but happy and practical musicians because they learn to apply their musical knowledge to all different types of music. If you would like to get more information on the benefits of music education or would like to find out how to get your child started studying an instrument at the Mike Risko Music School, contact us anytime and set up your free consultation. We will walk you through the whole process and even guide you on how to buy or rent your musical instrument in our music store. Our program is non-competitive, individualized, and fun. If you would like to register, please go to register. 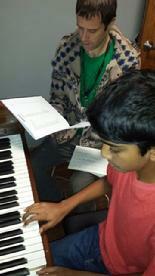 Registration for private lessons is accepted anytime and we welcome new students througout the year. You can also fill out the form below and someone will contact you right away! What instruments can I study at Mike Risko Music? 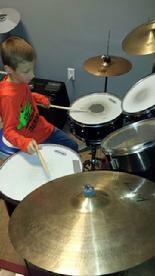 We offer private lessons in 30, 45 or 60 minute increments. 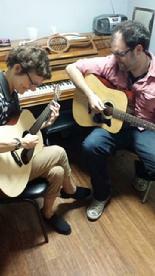 Students can study guitar, piano, drums, voice, bass guitar, violin, viola, cello, brass or woodwinds. Yes! I am interested in music lessons! Please fill out the form below and someone will get back to you right away with information.